Many parents turn to baby bottles with milk or any other fluids in them to help babies sleep. While this tactic is both convenient and effective, there is a dark side to this, which is making your child dependent on the bottle and habit. It can also increase their risk of cavities or baby bottle tooth decay, as the sugar can linger on their teeth and trigger the process of decay. It is important to keep in mind that the sugar in milk, juice, and other drinks mix with the bacteria in the mouth to form the acids, and eventually wear the enamel. This is why if your kid is used to sleeping with a bottle, you need to slowly reduce and break this habit. You can do this by cutting the amount fluid you fill the bottle or by diluting the beverage with water. You should also start to kick the bottle habit around age one. Note that waiting too long to start the transition can cause more difficulties in stopping the habit. Prolonged bottle use, moreover, may contribute to decay, as well as cause them to drink more liquid than what they actually need. 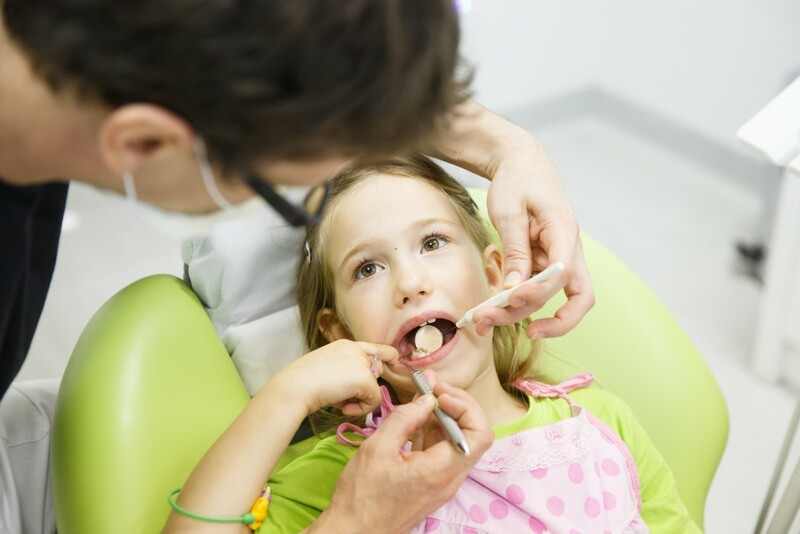 If your kid’s teeth have not come out yet, start with wiping the gums gently using a damp washcloth or gauze. You don’t need to use any toothpaste, as you can wrap the wet cloth around your finger and rub it gently over the gums. Do this daily. Your kid can start using toothpaste at around two years of age, but make sure to use only a small amount, about the size of a rice grain. Don’t forget to use a soft-bristled toothbrush. Also, do take note that even if kids at around six years old can brush their teeth alone, it best for parents to supervise the habit until the age of 12. Fruit juices are far better than soda and other prepackaged beverages, but do take note that water is still the best drink for both adults and kids. Doctors, however, don’t recommend giving this beverage often and the American Academy of Pediatrics recommends no fruit juice under one year old. When giving juice to your little ones, keep in mind that toddlers should not drink more than four to six ounces of juice every day. You can also consider diluting the beverage with water to reduce its sugar content. It is also better to serve it alongside meals or snacks. While there is nothing wrong with drinking sweet drinks, you and your kids should not make this a habit. Do take note that little ones who have access to sugary and other unhealthy beverages are likely to become more accustomed to consuming them as they grow old. Furthermore, you should avoid dipping pacifiers in anything sweet like sugar, honey, and juice. Get into the habit of offering kids water, as well as other hydrating foods throughout the day, especially during the summer. Check out this blog for tips on getting your child to drink more water. Apart from the tips mentioned above, you should also establish good oral hygiene at an early age. Don’t forget to visit the dentist at least every six months for checkups and cleanings.